Don’t throw away profits! Recycle your catalytic converters scrap with Specialty Metals, the top choice in the US for secondary refining of Platinum, Palladium and Rhodium bearing scrap. Are you looking to sell scrap catalytic converters, refine scrap converters, or refine autocatalyst? We make it fast and easy to recycle your company’s catalytic converters – in fact, you’ll be paid within 30 to 40 days of the day we receive your catalytic converter scrap. We currently have a 500 unit (or 1,000 pounds of loose catalyst) minimum per lot. Processing Time: Typically completed within 30 to 40 days from date of receipt. 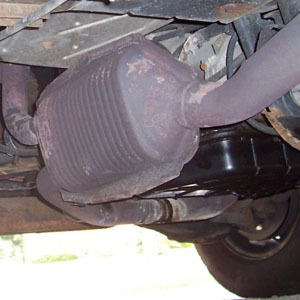 What Kind of Catalytic Converters Can I Recycle?